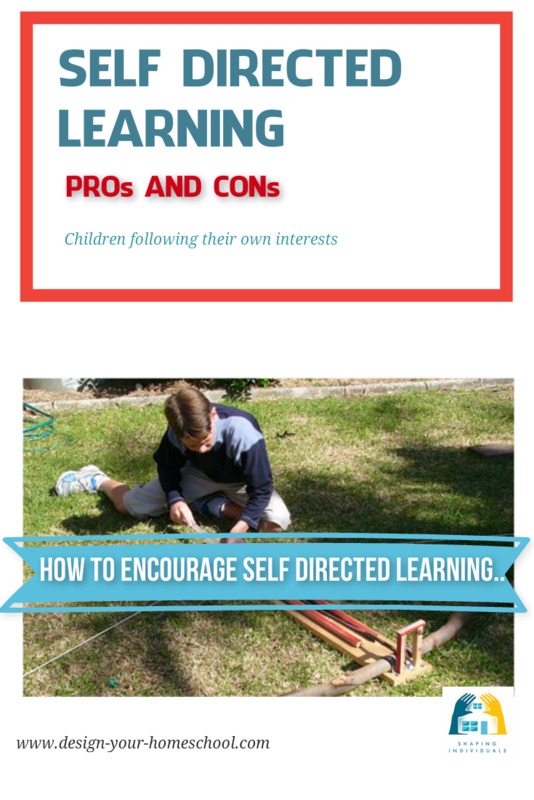 Self directed learning - Is it a separate homeschooling approach or is it a way of learning, or a desired end result? 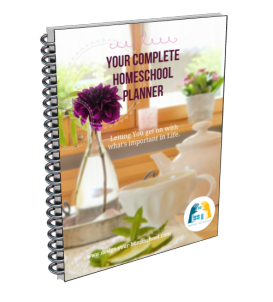 As far as the name suggests, self directed learning gives the primary responsibility, planning and implementation of learning to the individual homeschooled student. For some natural learning home educators, this is the approach they follow from birth, and allow all daily life experiences and their environment to be the platform on which all their education is derived. All of education is life! All life experiences are educational experiences and can be the stepping stone to further in depth study. However, self directed learning can also be a process in which the parent guides and teaches the student to become more independent. Structures are initailly set up by parents, then set in tandem with students in order that the students may learn the skills to step into independent and individualized self directed learning programs initiated and implemented by themselves. A recent homeschooling article in the ABC News in Sydney writes about home educators in Canberra, Australia who are exploring their interests, and passions, with outdoor excursions, computer programming, musical instruments, art and photography. I will discuss self directed learning here as an end result - a desired goal, and list ways in which we can encourge and work towards self directed learning. We also know that children will learn when they are actively involved in the educational process and so to develop self directed learners, we recognize that if the education is driven by the child, the interest is maintained. We also know that parents have a God given responsibility to their children to teach, train, guide and correct them. 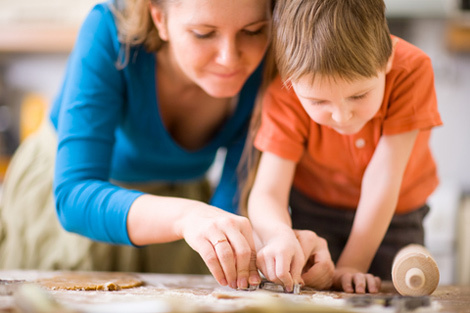 The beauty of homeschooling is that as parents, we can tailor the interests of our children and create their own unique independent learning program based on those interests and their own ability. We can also direct our children, guide them and teach them how to set goals and develop skills to become independent self directed learners. How do we encourage self directed learning? 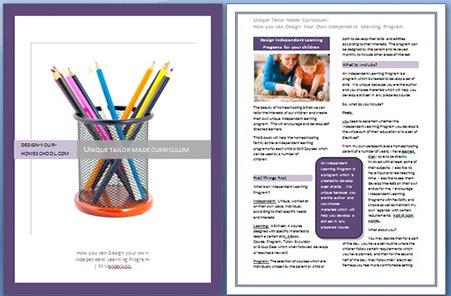 Select Materials and Resources to help you achieve those goals. This, then, becomes the simple model which we need to instill in our children in order to prepare them for a life of successful self directed learning. As an adult, I know that if I want to learn a new skill (like building a website, playing an instrument - I'm learning the cello or learning a language - like Greek - all of which I have attempted to do in my years of homeschooling), I need to set goals, use the best possible resources, discipline myself, study hard and keep at it. My success in learning the skill is directly dependent on how well I do those things. It is exactly the same with our children. If you are interested to find out more - how we can encourage self directed learning - creating self directed learning contracts or programs. 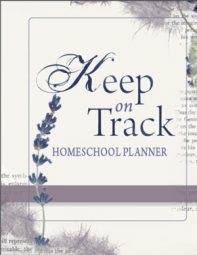 HOME › Homeschooling Approaches › What is Self Directed Learning?